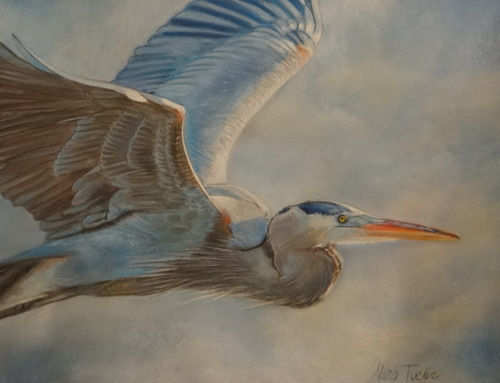 Soaring II was inspired again by my favorite bird the Blue Heron. This painting belongs in a private collection. 5" x 6.5"7" x 9.25"9" x 11.75"11" x 14.5"12.5" x 16.25"